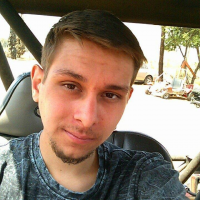 September 12, 2015 (El Cajon)—Elijah “Bear” Diaz, 20, remains missing two weeks after vanishing from his El Cajon home on Saturday, August 29. A private investigator hired by the family calls his disappearance “suspicious,” NBC 7 reports. Diaz is a diabetic with a serious foot injury who is likely on crutches. His family is deeply concerned that he left with only enough insulin for a week and has missed several doctor’s appointments. A wide-screen TV was missing from his room. Diaz left without his toothbrush, glasses and cell phone charger, NBC 7 has reported.